Aquafarms are becoming ever more important. Overfishing of seas has drastically reduced fish stocks. The world population is growing and the demand for food is rising. Modern aquafarms help to provide controlled breeding and reproduction of fish and aquatic organisms such as mussels, shrimps and algae. Cost-efficient and reliable breeding requires a lot of know-how, dedication and, above all, efficient systems. At the same time, breeders must meet high requirements for animal health and food safety. We support you in this task with our plastics. With a high corrosion resistance and mechanical stability our materials are a perfect fit for the special requirements of aquaculture. They play an important role in durable, low-maintenance and cost-effective aquafarms around the world. Depending on the requirements of the fish farming tank, either Polystone® G or Polystone® P can be applied. 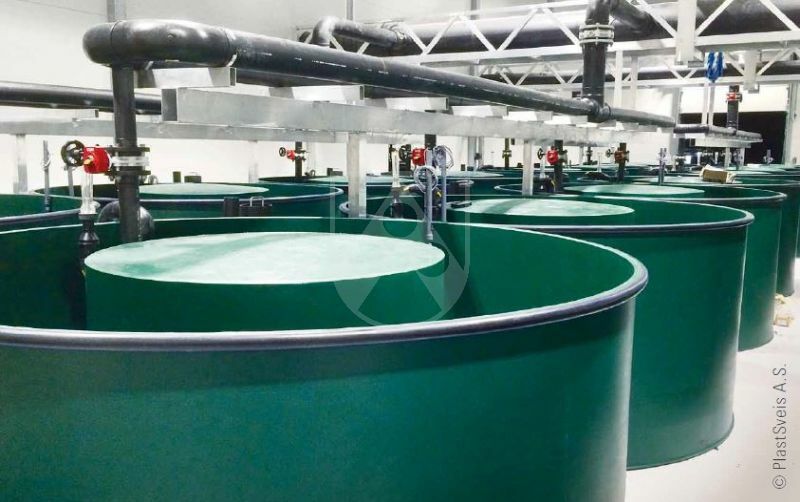 Cost-efficient: Fish farming tanks made of Polystone® G and Polystone® P are low-maintenance and durable due to their high corrosion resistance and mechanical stability, which allows them to support the farming facility's economic efficiency. Hygienic: The smooth surface is very easy to clean with common cleaning agents, which helps to maintain high hygiene standards and animal health. Easy to work with: Polystone® P and Polystone® G are very easy to process and weld, which makes it possible to produce customer-specific round and rectangular containers. 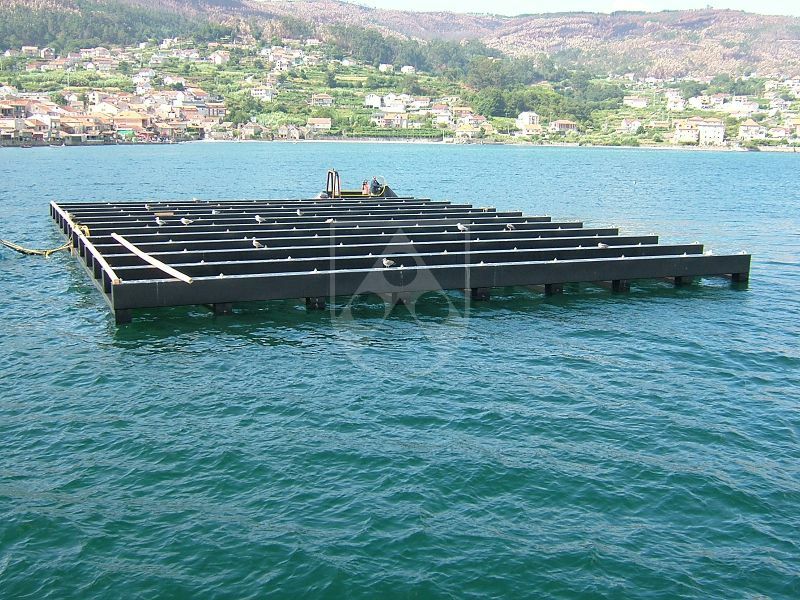 In Galicia, mussels grow on mussel rafts called 'bateas' with beams made of Polystone® G black HD. Polystone® G black HD offers high resistance to aggressive salt water as well as high UV resistance for long-term durability in strong sunlight. Compared to conventional materials such as wood, plastic carriers are particularly durable and low-maintenance. We would be happy to advise you on the selection of the right materials for your application. Just use the contact form at the bottom of the page and send us a message.